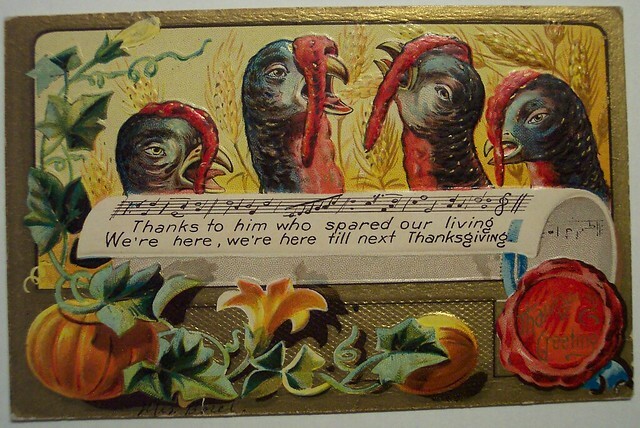 Happy Thanksgiving to our American readers. I was thinking about technologies for which I’m particularly thankful, some non-obvious, some perhaps so obvious they might be easily be taken for granted. Each I hope represents some opportunities for others. At the risk of starting a Thanksgiving roast, in no particular order, here are the ones foremost in my mind in the waning days of 2010. 3. Music notation: Fun toys aside, what’s the real killer app in 2010? It might be the score. It’s still the fastest way to communicate a musical idea to someone else, or quickly play the Billy Joel tune your cousin wanted to sing along with. (Best karaoke machine in the world: your brain.) And this year, we saw improved ways to enter those scores, from ever-more-mature commercial packages to free tools like Lilypad. An iPad can be a fake book full of lead sheets; a browser can turn some quickly-typed notes into notation. All this using something that wouldn’t look entirely unfamiliar to someone who stepped through a wormhole from a few centuries ago. That’s my list. What are you thankful for? Let us know in comments.